← Where has the Target Jew stuff gone? 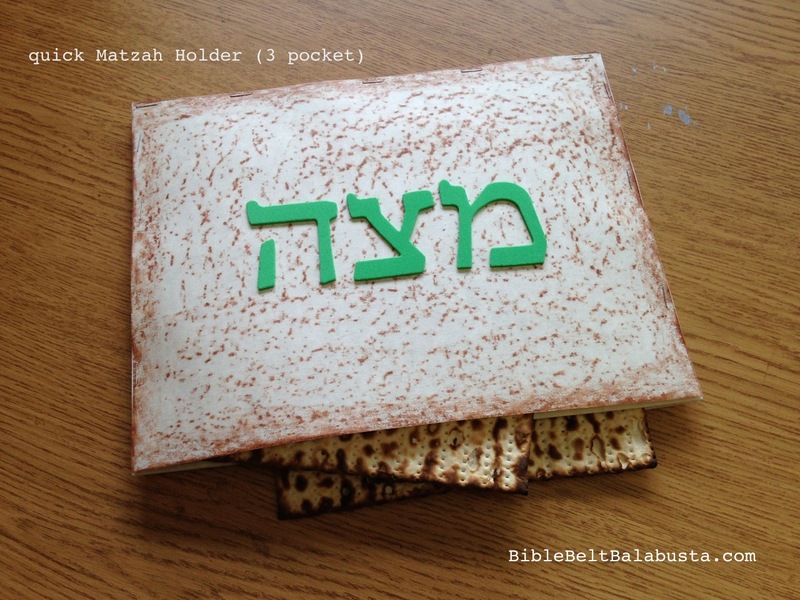 Matzah holder (3 pockets) in 30 min. Quick post for a quick project. I only have 25 to 30 minutes with a class, but need to produce something functional and fun for Passover, so I choose carefully. 2. Staple that lovely top piece onto 3 plain pieces of cardstock. Staple around the two short sides and one of the long sides. Keep the other long side free because that’s where you’ll be inserting the matzot at the seder. 3. Decorate. 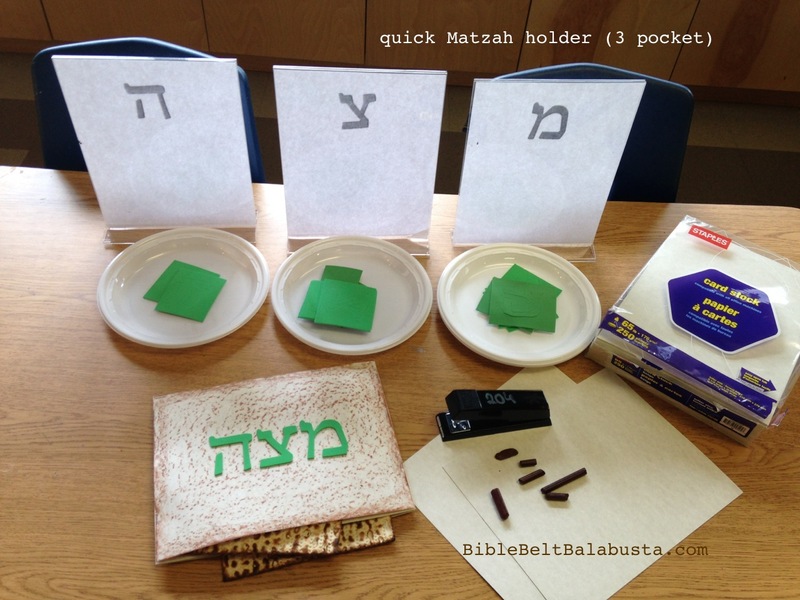 I offered die-cut Hebrew letter stickers to spell “matzah.” You can use stickers, stencils or just hand-letter with a Sharpie. We also added some felt frog stickers from Michael’s, but I forgot to take a photo of the student work. 4. Use at a seder. At the appropriate time in the Haggadah, you’ll need that middle piece to hold up and break in two, whereupon the larger bit will become the AFIKOMEN. NOTE: the waxy crayon decor prevents some stickers from sticking like crazy. And, waterbased markers won’t write well on wax. A Sharpie does fine. P.S. Even though the craft is short and sweet, there is still time to chat about how Passover matzah is made and why, why we use 3 pieces of matzah at a seder, what the heck is Afikoman and how to use it, and so on. Demonstrate the breaking of the middle matzah and “practice” hiding / finding / tasting the afikomen! This entry was posted in Crafts, Passover and tagged matzah, Passover, seder. Bookmark the permalink.